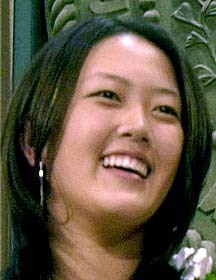 Michelle Sung Wie was born on October 11, 1989, in Honolulu, Hawaii. She is the only child of Byung-Wook and Hyun-Kyong , both of whom emigrated to the U.S. from South Korea. Michelle started to play golf at the age of 4. Michelle started competing in tournaments against players her own age before she turned 10. Her first was the 1999 Oahu Junior Championship. At the 2002 Hawaii State Open, she won the Aloha PGA of America section championship with a smattering of former tour pros, lots of club pros and others who play better than scratch. She beat every male in the field from a set of tees at about 6,200 yards. In the year of 2001 she won the Hawaii State Womens Stroke Play Championship. Michelle Wie was born with a competitive Sun-Mars conjunction in the sign of Libra. Her Mars is fortified by a network of aspects to other planets in her chart. Jupiter gives her an adventurous, bold edge, and a square to Saturn which tests her patience, maturity and her ability to learn over time. Michelle's Mercury is also involved in an unusually dynamic network of planetary aspects. Mercury is also square Uranus, giving her a knack for thinking outside the box. Her Pisces Moon is part of a Water Grand Trine with Jupiter and Pluto. This confers her an inner sense of faith in her own abilities, and a self-contained emotional life that protects her from the external challenges.